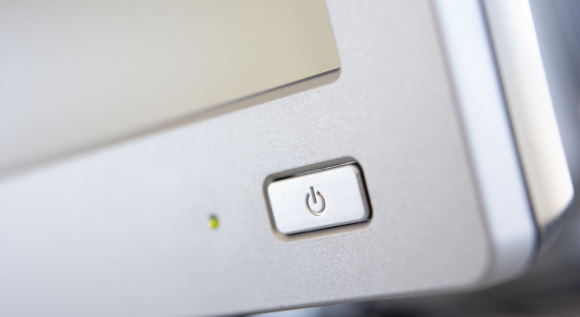 If you are on a desktop computer and you want to turn off your monitor screen, you can do it easily by pressing the power button on the monitor. But there is no such option in laptops. You can’t turn off laptop monitor screen that quickly. Most operating systems, including Windows, will go in sleep mode is the laptop is idle for some time, turning off the monitor screen as well, but it will also close all the running programs. This is undesirable as you may want to keep the programs running while turning off the laptop monitor only for many reasons. For instance, you may have to download a large file from internet and you may want to save some laptop battery while you do so. So, what’s the best way to just turn off laptop monitor screen without turning your computer off or without affecting any running programs? There are some software that let you just turn off the monitor screen of laptop. Here’s a list. You can use a small tool called Dark to turn off laptop monitor screen on the laptop or desktop. Dark is a lightweight, open-source Windows application written over the .NET Framework that lets you turn off the monitor of your laptop monitor screen. Obviously you must have .NET Framework installed to use it. Once installed, Dark resided in the system tray or notification area of your computer. You just need to double click on it to turn off the laptop monitor. Note: After installation, if you don’t see Dark in the system tray, click on the Dark software icon on desktop to run it. You can right click on it and click on ‘Start With Windows’ to make it automatically run every time you start the laptop. 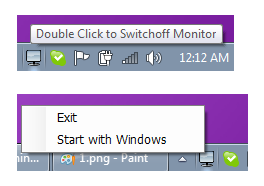 If you are using Ubuntu linux, you don’t need any third party tool to turn off laptop monitor screen. Just go to System Settings > Displays. Disable the Mirror displays option(3). 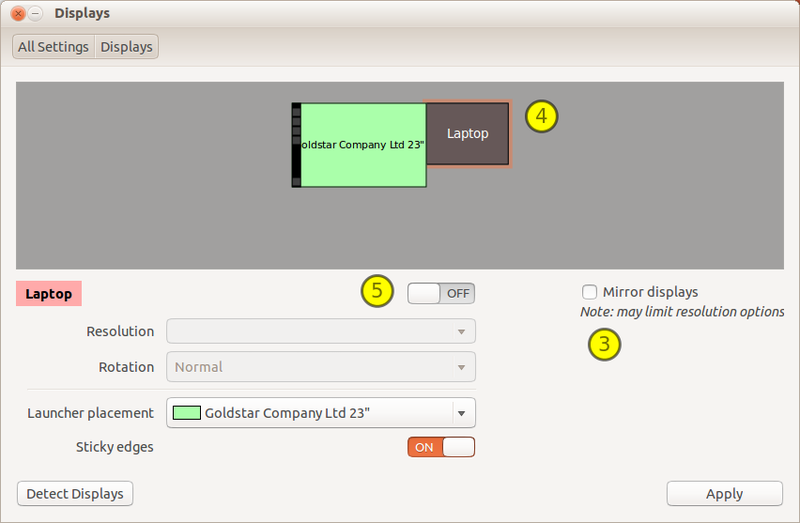 Now select the LCD display named laptop(4) and toggle the on/off button to turn off the monitor(5). The xset command will work fine on all linux distributions that run XServer, which includes Ubuntu, Fedora, RedHat, Debian and CentOS. There are many more ways and tools to turn off monitor screen in laptops but the above two should suffice for all practical purposes.